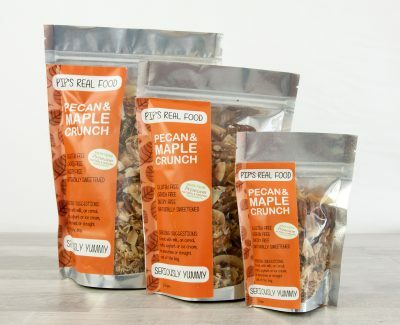 Pip’s Real Food is a range of gluten and grainfree gourmet granolas handcrafted, in Noosa on the Sunshine Coast, using premium quality natural and organic ingredients. 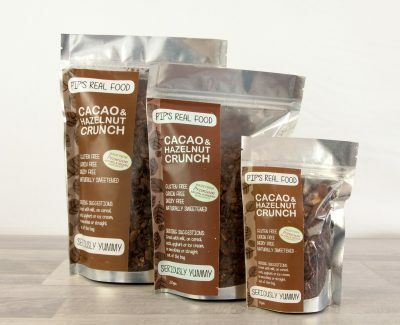 The fabulous four ‘Crunch’ flavours were developed by Pip Thrum, to fill a need in her active lifestyle for healthy and nutritious food that also tasted great! 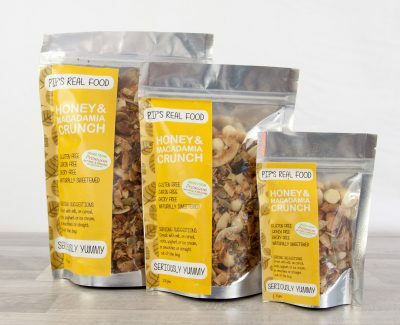 Wherever possible, Pip sources ingredients locally, supporting many local producers. 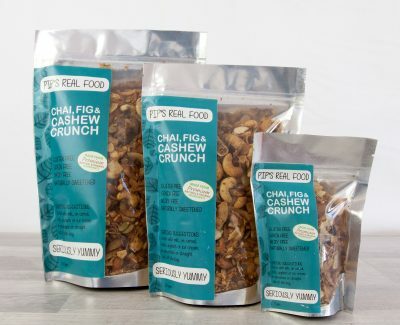 Currently there are four flavours; Honey & Macadamia Crunch, Pecan & Maple Crunch, Cacao & Hazelnut Crunch, and Chai, Fig & Cashew Crunch. 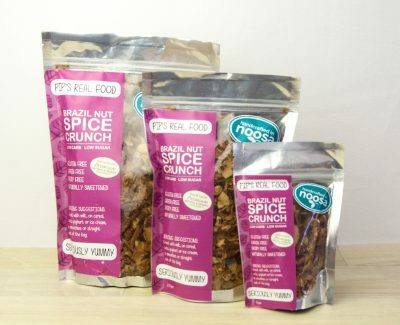 All are available in our online store in a handy 75g single serve pack, 250g, 500g and a 1kg Catering pack. See our Stockists here, or purchase online.